Raith Rovers are free to register the former Hearts striker when the window opens on Sunday. Livingston say they are giving up on their pursuit of Calum Elliot in order to sign a player with "commitment and professionalism". The striker agreed to join the Lions on April 26, only to also sign for Raith Rovers this week. Confusion reigned earlier this week over who had the right to register the player when the window opens on Sunday. 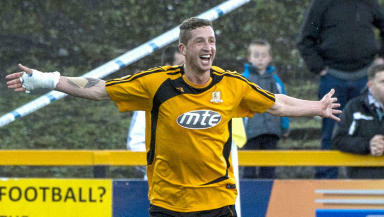 Livingston had called upon their First Division rivals to act "honourably" having signed Elliot first. In response, Raith accused the Lions of breaching league rules which state a player must be registered 14 days after he puts pen to paper. "Livingston remain unhappy about the situation which has developed in recent days regarding Calum Elliot and his decision to 'sign' for Raith Rovers after previously agreeing to join us," the club said in a statement. "Calum's conduct has been extremely disappointing given that he appeared happy to sign for us in April and signed documents to that effect. 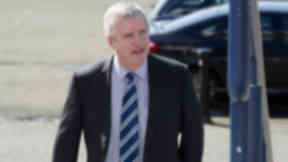 "Nevertheless we are keen to ensure that the matter does not drag on and impact on our preparations for the new season. 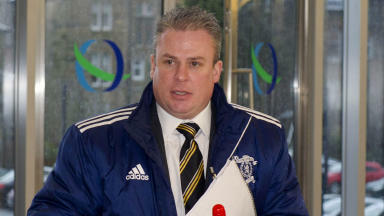 "Consequently we have decided not to pursue the situation further or lodge any complaint with the football authorities. "Our focus has now moved to recruiting an alternative player who will display the level of commitment and professionalism that the remainder of our squad deserve to see from a team-mate and our supporters expect to see from a Livingston player."